While everyone is accustomed to going all out when it comes to dressing for Coachella, the question emerges, “what do I wear too all other music festivals?” Of course EDM festivals are known for fostering outfits that are NSFW. But music festivals, such as Hard Summer, provide the perfect environment for a rather eclectic bunch of music aficionados to show their fashion sensibility. Not only do you want to look cool, but also you really do want to be comfortable especially since you will be standing (hopefully dancing) on your feet for hours upon hours. Nothing is worse than wanting to leave early because you’re uncomfortable. This year, make sure to keep things relaxed yet individualistic for your festival look, so that all eyes are on you (as well as on the artists) the entire time. 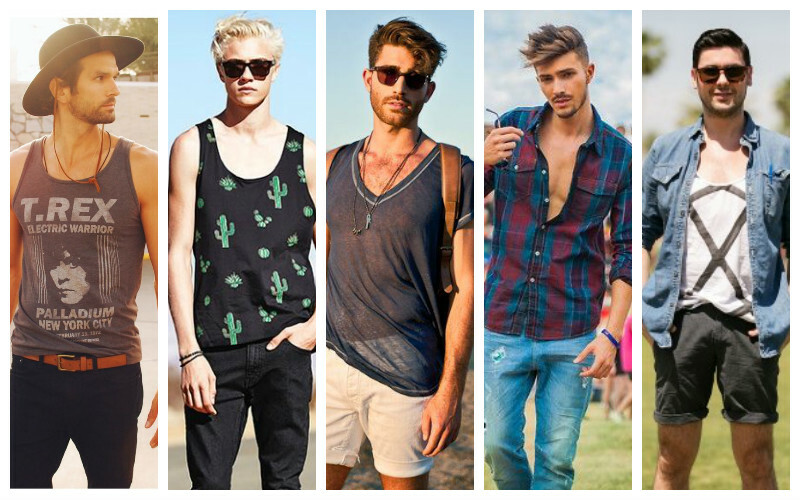 Here are a few tips on what to wear to an upcoming music festival to make sure you stand out. The old saying that nothing beats the basics could not be more true, especially for festival fashion. No one and I mean no one will look at you weird for wearing some basic wardrobe essentials that most if not all men should have hanging in their closet already. A plain white tee, some chino shorts, a light pullover button up, and some classic trainer shoes like: adidas, Converses, Vans or Nikes will keep things chilled and practical. You’ll look like the cool kid who didn’t even have to try. Let’s face it, this outfit, apart from being great for any and all music festivals, is also a great look all summer long. For an added edgy look, swap the white tee for a tank top to show off those toned muscles you worked on all of winter/spring. 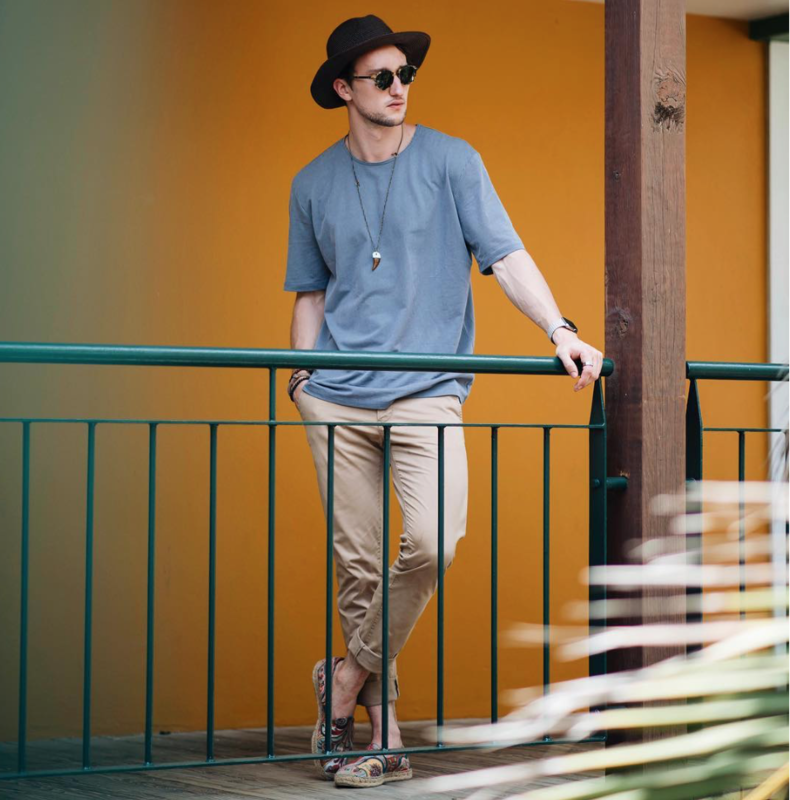 For a more polished and timeless look, opt for a color neutral tee, some slim fit khakis (cuffed at the bottom of course) with some slip-on sneakers. The fun thing about this outfit is that you can personalize it by pairing it with bold yet complementary colors and some cool accessories. Every outfit must always have one piece that takes center stage. In this case, make sure your sneakers are that piece. For instance, when opting for some slip ons, make sure you buy a pair that has a unique pattern. The shoes will get praises and you will have the perfect element to keep your outfit looking great. 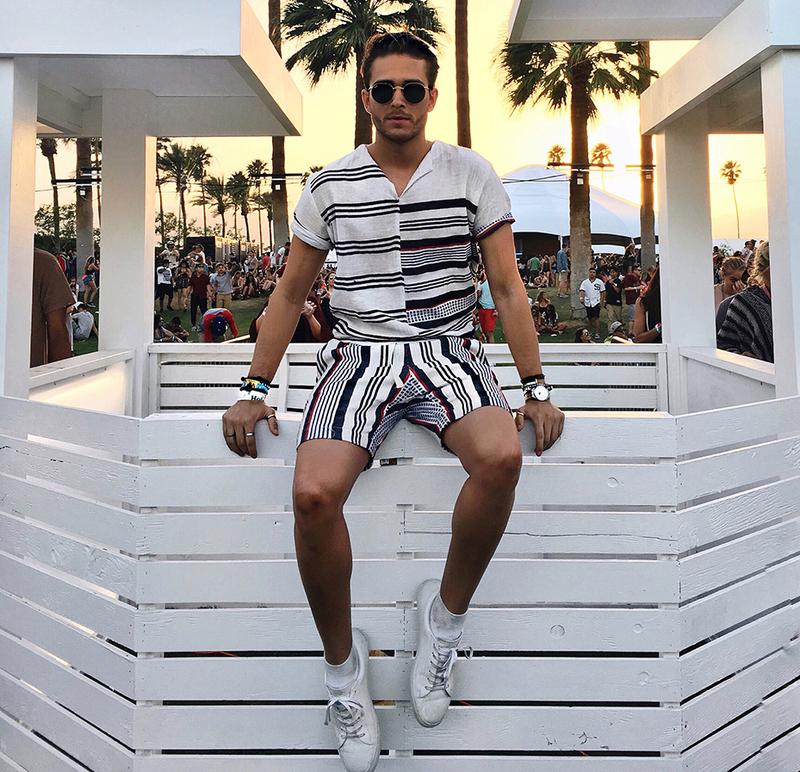 Given that music festivals provide the perfect environment to wear outfits that otherwise would not be worn by your average Joe, opting for a matchy matchy short/shirt combo is a fun and tasteful festival look! Make sure to incorporate patterns into your festival wardrobe. If you were ever concerned about wearing colors and patterns, this is the time to play! I can’t tell you how much I love this play on patterns, especially the tropical palm tree design that screams summer. 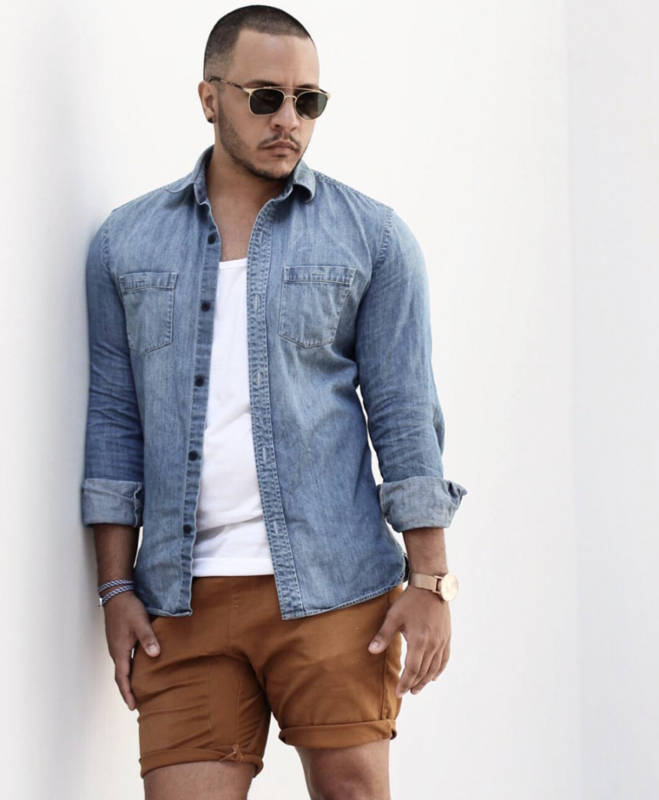 Make sure to style this fun combo with a pair of white sneakers and a pair of shades. Love the idea of a matching set, but don’t think you can pull off the vibrant pattern play? Well here is a neutral alternative that is just as stylish. Still a bit edgy, but much more subtle. Similar to the two piece matching set from above, pair this outfit with some white sneakers and some sunglasses to keep things refreshing. Some of us are minimalists and are sometimes hesitant to try out new styles. That is okay! Remember to be confident, you have to feel comfortable in what you wear. If you’re the type of person who feels himself when he is sporting some denim and a graphic tee, then don’t deviate from that. Elevate your straightforward outfit by purchasing some lust-worthy tees. 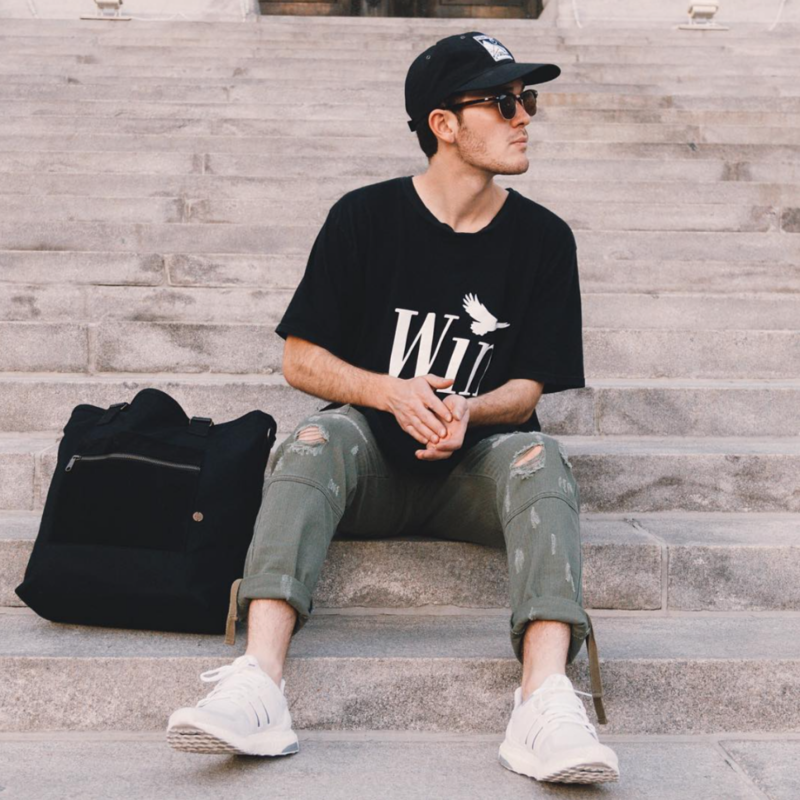 Everyone knows the basic t-shirt brands that everyone is wearing (e.g. Primitive, Diamond Supply Co, Undefeated). However, instead of opting for one of those brands, get a t-shirt from an up-and-coming brand or simply a brand that is more exclusive (e.g. Raised by Wolves, Palace, Off-White, Fear Of God). This simple change will elevate your outfit to a whole other level. However, make sure to pair this outfit with a trendy dad cap and a pair of adidas ultra boost for the utmost comfort. No matter what you decide to wear to your next music festival, I’m sure you are about to have the time of your life. Hopefully this has helped you find all your outfits for that melodic weekend. Let me know what festival you are heading to! Also, let know how you make your outfit stand out at music festivals in the comments below.